Mobile Growth Summit 2018 – the largest mobile marketing growth conference will kick off next week in SF, California. The two-day event, on 7 -8 February, would witness a footfall of 1000+ mobile marketers from more than 600 diversified business groups. To demonstrate how business leaders see next-gen technologies in mobile marketing in 2018, we spoke to a bunch of CEOs, Marketing Executives, Product Officers and Mobile Growth-Hackers. 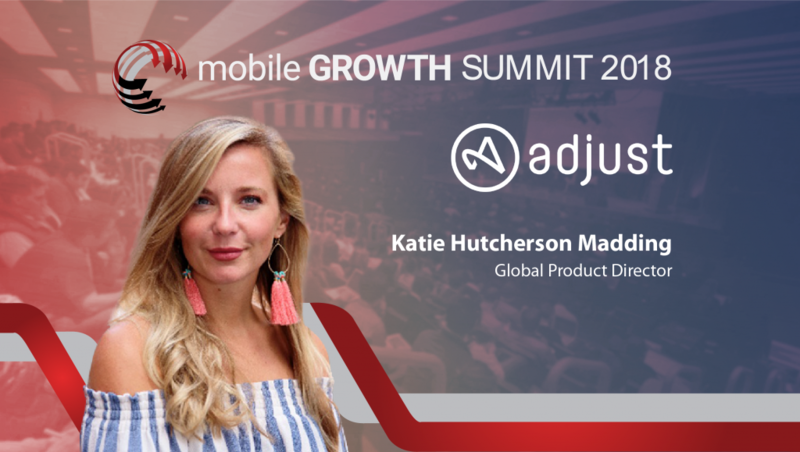 We spoke to Katie Hutcherson Madding, Global Product Director, Adjust.com to understand how mobile marketing intelligence and attribution works. Tell us about your role at Adjust and the technology you handle? I’m the Global Product Director at Adjust. Coming from an Account Management background, then moving to Integration Engineering, I’ve developed a unique perspective—leveraging new technology with business strategy. With Adjust spanning 14 offices worldwide, I’m in charge of releasing cutting-edge mobile features on a global scale. Needless to say, I’ve love to travel. Adjust offers an open source SDK, allowing our clients to track everything from marketing campaign performance, to app store insights, to in-app analytics, all within one platform. Adjust offers global support for Mobile App Developers, including the ability to track campaigns from Facebook, Google, Snapchat among 1000+ partners. How do you see the Mobile Growth Summit 2018 making a difference to the mobile technology ecosystem? Which sessions are you particularly keen about? I’m interested to hear more about the latest types of fraud that mobile app developers are seeing. I think our industry was able to say fraud was 2017, but unfortunately, that’s not the case. Fraudsters are constantly learning and getting smarter, so we need to constantly be improving our rejection technology. What technology marketing lessons would you like to re-evaluate at the Mobile Growth Summit 2018? We’ve witnessed a big revolution over the past 5 years in mobile marketing. Marketers have had to tackle everything from defining how attribution should work to discovering the dark underbelly of performance ad fraud. We’ve moved on from simply measuring installs to measuring and focusing in on engagement metrics like retention, churn, and lifetime value. 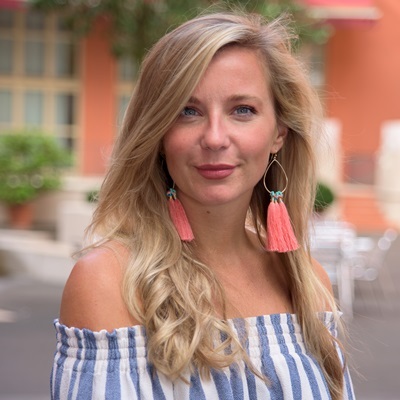 I travel around the world to listen to mobile marketers’ concerns at our Think Tank events, where we usually cover distinct challenges, so today I’m interested in hearing more about the broader challenges these marketers are facing. How are marketers utilizing cross-channel data to engage their users? With mobile ad budgets growing year on year, and supply not growing at the same pace, are marketers feeling the impact? We also know that fraudsters continue to find new ways to usurp technological barriers, so how are these marketers adapting? I love hearing how marketers are hacking the technology they have at their disposal to create the tools they actually need. It’s a great opportunity for companies like Adjust to develop the innovative solutions needed in today’s fast-paced ecosystem. How should mobile tech platforms better leverage customer data and cross-device experience management technologies? Marketers collect user profile data from a variety of different places, including desktop sites, apps, and in-store CRM programs. Analytics play a huge role – giving insight into end-user behavior. In order to better leverage the reams of data available to the modern day marketer, systems need to be able to work with each other – data needs to be compatible. 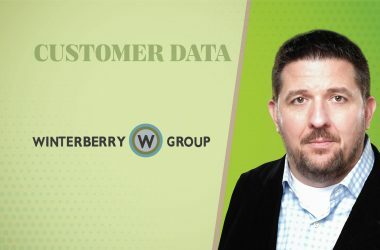 Any tech stack worth its weight will have open APIs connecting all the resources needed in order to leverage cross-device data, the ability to merge the data internally, and the ability to collect granular user-level data that will actually have a visible impact on a marketing campaign. For Adjust, that’s collecting things like metadata, product SKUs, and giving marketers the ability to assign custom IDs that can be leveraged within any platform. We also connect to every major platform so data can be merged wherever it’s needed. We recently launched Audience Builder, which acts as a client’s in-house DMP; marketers can leverage all their granular mobile user data in whatever way they like. The next step in this evolution is to include data from other sources, creating a one-stop shop to splice and dice user data and create targeted user lists to power up marketing. For now, though, there is no all-encompassing solution on the market, so marketers should look to work with partners who give them access to their data in the simplest way possible. Tell us more about your Fraud Prevention Suite and how it ensures genuine advertising returns? There’s a very clear distinction between what we’re doing at Adjust and what others on the market are doing. For us, the most important thing has always been to actually prevent fraud from being attributed – an incredibly important step in the whole fraud supply chain. By doing this, we’re cutting off the money going into the pockets of these scammers, and more importantly, evening the playing field for marketers with much-needed transparency. For too long there’s been no transparency into the magic of how an install came to be. We’ve been pulling back the curtain on fraud for the past 20 months and have helped countless companies recoup their losses. We’ve also helped companies develop their own safeguards with the launch of the Coalition Against Ad Fraud (CAAF). We’ve seen firsthand that fraud is perpetrated in many different ways – whether it’s done in a room filled with iPhones, a cloud server, in-app, or through exploiting loopholes on a device, the results are the same: advertisers are losing more than just their budget. Fraud dilutes their analytics; they miss out on acquiring the types of users they want, and invest in the wrong channels. Think about it this way: if you ran a store, how much theft would you think is acceptable before you’d put measures in place to prevent it? For most people, no amount of theft is acceptable. That’s why stores have security systems, security guards, cameras and the like. When advertisers start preventing fraud with our product, the ROI is instantaneous. Imagine realizing you were wasting 80% of your ad budget on users that didn’t really exist. Or worse yet, you’d been buying your own organic users at a discount the entire time. When you prevent fraud in the first place, you’ve still got that 80% to invest in real users who will actually convert, spend money in your app, and boost your bottom line. What are your predictions for mobile marketing intelligence and attribution technologies? We’re constantly adding more transparency into the supply chain through the development of our products. This includes our fraud prevention products, our open cost APIs (which give advertisers an accurate view of how much they’re spending to acquire a user), and our overall openness with data security and privacy. We always show our receipts and have nothing to hide. This idea of transparency is going to continue to be an incredibly important beacon for the evolution of our product. We believe it should become the gold standard industry-wide. Would you work for a company that stole from you, didn’t share critical information, and wasn’t transparent with how much and when you’d get paid? Probably not. That’s why everyone should be developing systems that remove the barriers of secrecy that are so prevalent in mobile advertising. Advertisers have a right to know where and how many times their audience has seen an ad, how and when they’re being scammed, how much money they’ve spent, and how much money they’ve earned. At the end of the day, advertisers are just looking for real data they can trust, not some estimation from an AI algorithm. When you’re able to trust your advertising data, there follows a real need for tools that facilitate deeper user engagement. Development will start to pick up speed in 2018 – we’ve already seen huge leaps in 2017 with more companies adopting machine learning technology, retargeting networks increasing their sophistication and ability to bring in real ROI for advertisers. Our own Audience Builder gives advertisers all the granular data they need to work with any partner on their marketing campaigns. Would AI/ML have a profound impact on mobile app performance analytics and brand safety? Please elaborate on your views. Companies are quick to claim that they are optimizing campaigns based on machine learning. It’s become an industry buzzword; unfortunately, this often isn’t the case. With any bidding system, you have the opportunity to target your campaigns using ‘human input’ parameters like ‘app category’, ‘device type’, and so on. In this instance, a vodka brand could choose to not advertise on children’s apps and maybe target the newest iPhone model instead. The difference with machine learning is that, with a little human input at the start when the system is being developed, the ‘machine’ learns the behavioral patterns of these apps. 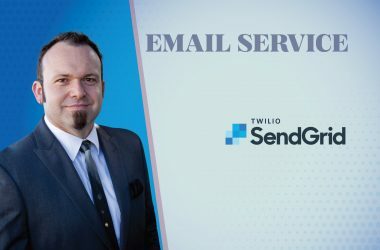 It would learn the typical pattern associated with a children’s app, and when any request was processed, it would quickly run through all apps and decide not to publish there based on the rules the advertiser put in place. Beyond that, it would also learn the best time to place an ad to gain the highest number of conversions, the best app categories to target, device types, regions, and so on. A great example of this is Google’s UAC – which now operate entirely with machine learning. The early feedback we’ve heard from our clients is that conversions have improved across the board- likely due to a greatly improved targeting system, which can only be attributed to machine learning. Beyond simply helping advertisers convert more and convert more effectively, machine learning also has a big impact on analytics. Machine learning makes up a big part of how Adjust has been able to continuously identify fraud and stay ahead of the game. If you imagine the volume of data that a company like Adjust measures, it would be a monumental task for a human to look at all of it and come up with a concise analysis. We process somewhere around 5 petabytes of data a month. It would take human hundreds of thousands of lifetimes to get through this! So for us, you could say machine learning has already had a profound impact, and is used across the board.